You can view this weeks sketch on the Paper Smooches Sparks Blog. 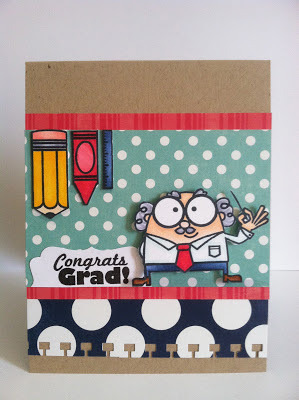 I decided to pair up the professor, pencil, crayon, and ruler images with Scrappy Mom's Sentiment "Congrats Grad!". I hope you enjoyed this card and thanks for stopping by! VERY cute! I love the creativity of the elements hanging down instead of flags!